As a fitness and nutrition coach, I know the importance of getting quality, lean protein in your daily diet. I emphasize this to my clients, especially when they are trying to build lean muscle mass (which is important for overall body composition). It can be a struggle, for some people, to make tasty, lean protein, meals that don’t require a lot of time and prep work. Fast food doesn’t have to be your answer! 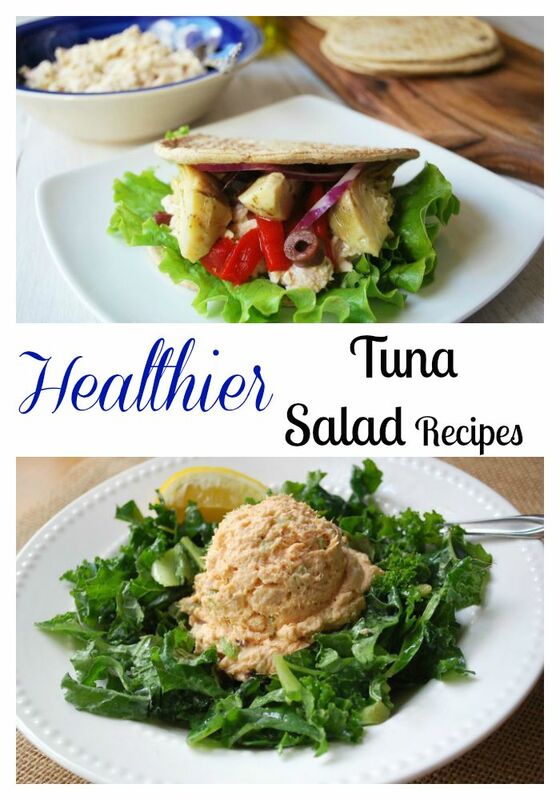 I’m here to share healthy living tips and a few recipes that are tasty, healthy twists on tuna salad that don’t require a lot of fuss, which is a lifesaver on busy days!! 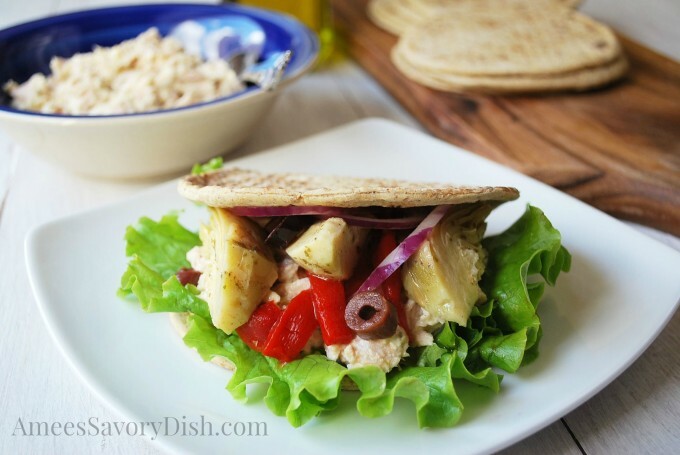 One of my all-time favorite tuna recipes is this Mediterranean Tuna Salad. It’s full of quality nutrients for your body and uses olive oil and lemon, instead of heavy mayo as the dressing. Eat it on top of a salad or in a wrap, it’s versatile and delicious! 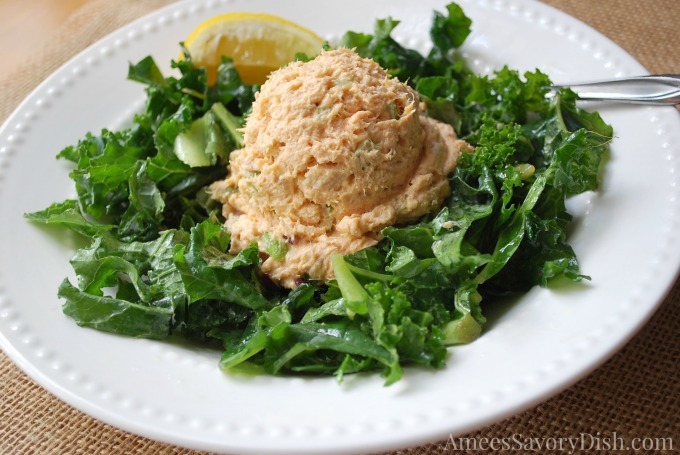 Another quick meal idea is this Spicy Paleo Tuna Salad over Lemony Kale Greens. This is a nice twist on traditional tuna salad made with a homemade Paleo mayonnaise recipe. This simple mayo is made with light olive oil in the food processor. Easy breezy. Not only is Bumble Bee economical, it’s also very good for you! 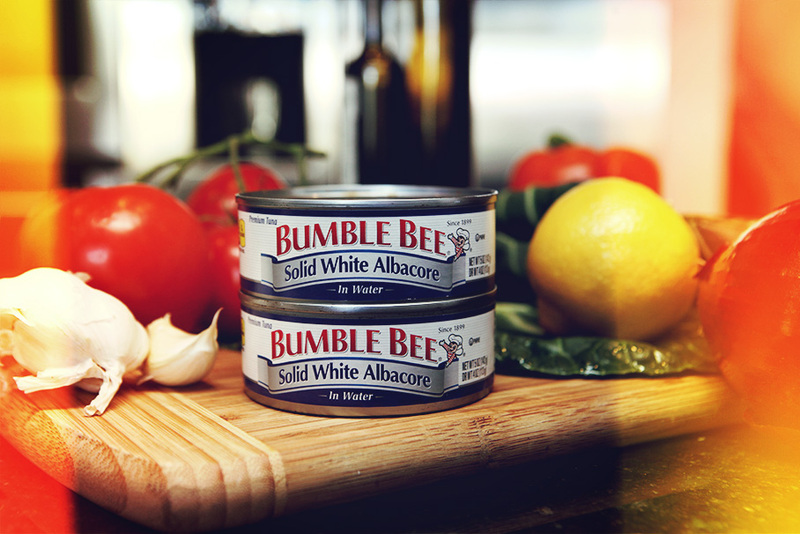 Bumble Bee Solid White Albacore Tuna in Water has 13 grams of protein and 0 grams of fat per serving, along with essential Omega 3 fatty acids. Add some healthy fats, like avocados, olive oil, nuts and seeds, along with vegetables and you’ve got a great macronutrient profile for your meal. It’s Bumble Bee’s mission to make healthy eating fast, affordable and delicious…..”Tuna Mind…Tuna Body…, Tuna Soul…Tuna Strong™”. Please visit their website for healthy living tips and recipes. For those of you that travel a lot, it can be a real struggle to find healthy food options. I love this video from Bumble Bee with great tips for staying on track, while on-the-go! Whether your goal is weight maintenance, weight loss, or building muscle, it all comes down to energy balance. Choosing a variety of healthy, lean proteins, fresh fruits and vegetables and good fats will get you on your path to success! Don’t forget to follow Bumble Bee on Facebook, Twitter and Pinterest! *This post is sponsored by FitFluential on behalf of Bumble Bee.